Public safety experts call flooding one of the most common and costly natural disasters that homeowners can face. As with any threat, however, you can minimize your risk if you plan ahead and follow recommended safety guidelines. To help you stay safe, ADTSecurity.com offers the following list of flood safety tips. Personal hygiene items (toilet tissue, toothpaste, hand sanitizer, sanitary wipes, etc.). Don’t forget the kids, or the pets. Families with babies will need to prepare their emergency kits accordingly, which means diapers, bottles, formula and baby food. Also remember to stock your emergency kit with items to keep your older children occupied during the long hours, including books and board games. 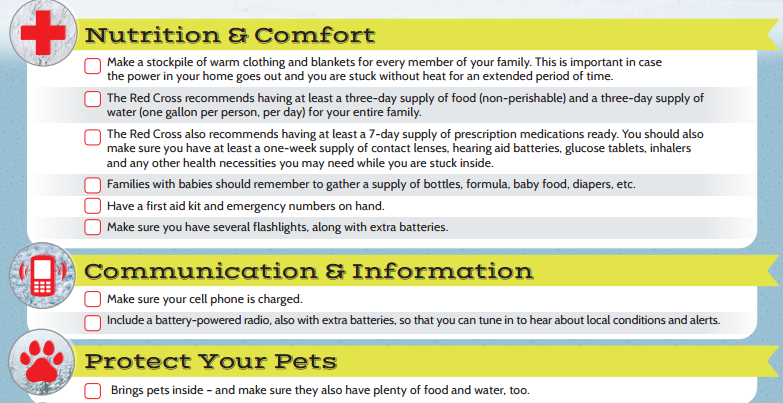 If you have pets, make sure to include food, bowls, leashes and carriers. Dress appropriately. Be sure to pack clothing and rain gear, like raincoats, hats and umbrellas. If you live in a low-lying area, take proactive steps to fortify your home. Elevated platforms can protect furnaces, water heaters and central air units, and check valves can prevent water from backing up into drains. Waterproof your basement with a sealing compound. After flooding, do a safety check of your home. Look for damaged power lines, cracks in the foundation, ruptured gas lines and other hazards. If you see anything dangerous, contact your utility provider or the local authorities. Six inches of water can cause you to lose control or stall your vehicle. One foot of water is enough to float many cars. Two feet of moving water can carry away many vehicles, even an SUV or pickup truck. Many aspects of flood safety involve simple common sense. If you approach every situation with caution and avoid taking unnecessary risks, you increase the chances that your home and family will weather the storm safely.